This is the classic pose of the Tang Dynasty War Horse. This position can be found in paintings and sculptures of the War Horse dating back to the Tang Dynasty. This sculpture is a representation of one of the six horses the Chinese Emperor T'ai-tsung of the Tang Dynasty (618-908 AD) rode in his battles as described in Chinese history and literature. 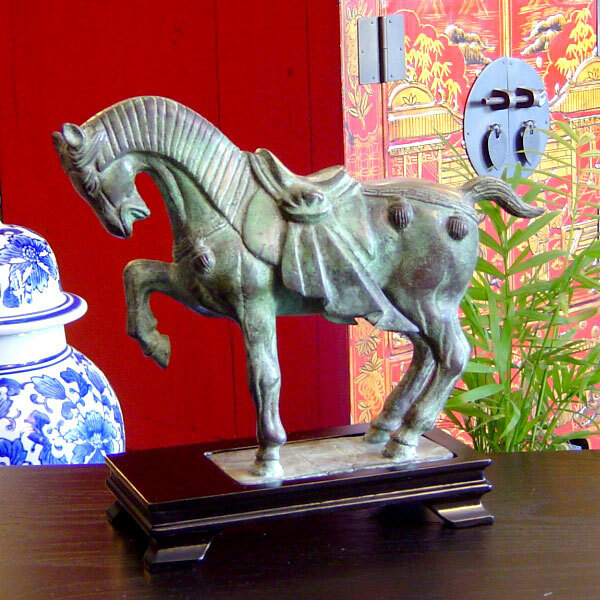 The horse in the Chinese culture is symbolic with many things related to success in business and life. Residing as the seventh sign in the Chinese Zodiac, the horse symbolizes perseverance, hard work, strength and success through high ambition. 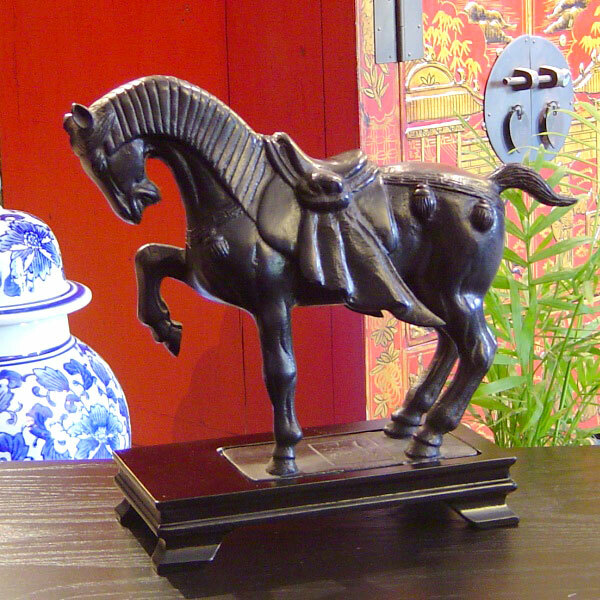 The horse in ancient times was usually given as a gift to the Emperor, royalty and high officials. Thoroughbred horse racing is still considered as The Sport of Kings. This hand made figure is constructed of heavy walled brass that is sand casted, hand worked and chemically oxidized to bring out the natural green coloured patina, characteristic of oxidized brass.